Welcome to our first annual holiday book exchange! We've shared plenty of gift guides with goodies for loved ones, but now it's time for YOU to receive a gift! In the spirit of giving, we'd love to have people who are genuinely interested in SENDING and RECEIVING a book just in time for Christmas. It doesn't take much time, but sending a little something special to a fellow reader is a great way to celebrate this season of giving. 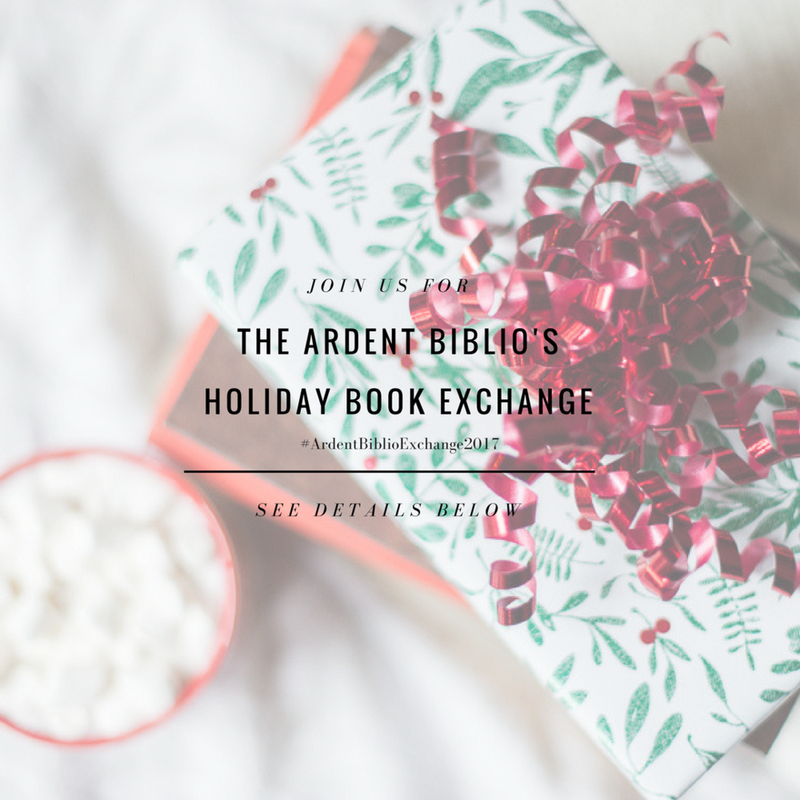 If you'd like to participate in this Secret-Santa style exchange you can either message us your name and address over on Instagram, or shoot us an email with your info at theardentbiblio@gmail.com before 11:59 on Thursday, Dec 7th. US residents only this time, please! We'll add your details to a list with everyone else (all information remains completely private), put it through a random generator on Dec 8th and send you the name and address of a fellow reader! Your book choice can be new or used, sourced from wherever you like to get books, and just spend whatever you're comfortable with (though keep it reasonable, there shouldn't be any reason you need to exceed $20-ish). Feel free to tuck in any extras, or not; it's totally up to you! You can also share what you receive with the hashtag #ArdentBiblioExchange2017 over on Instagram! Our hope is that you get a great new read AND a great new friend!